We all know such a small and sweet bird like a hummingbird. This bird stands out not only because it is the smallest bird in the world, but also because it is the only bird that can fly backward. 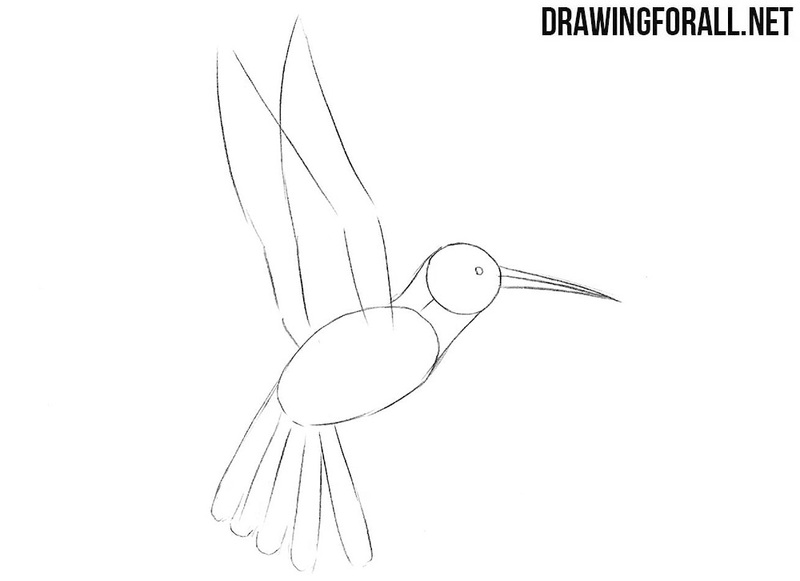 So, let’s learn how to draw a hummingbird. 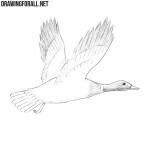 Draw with a pencil two ovals – the head and torso of a hummingbird. 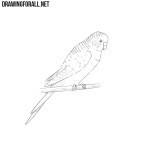 Mark the place of the beak, wings and tail of our bird. 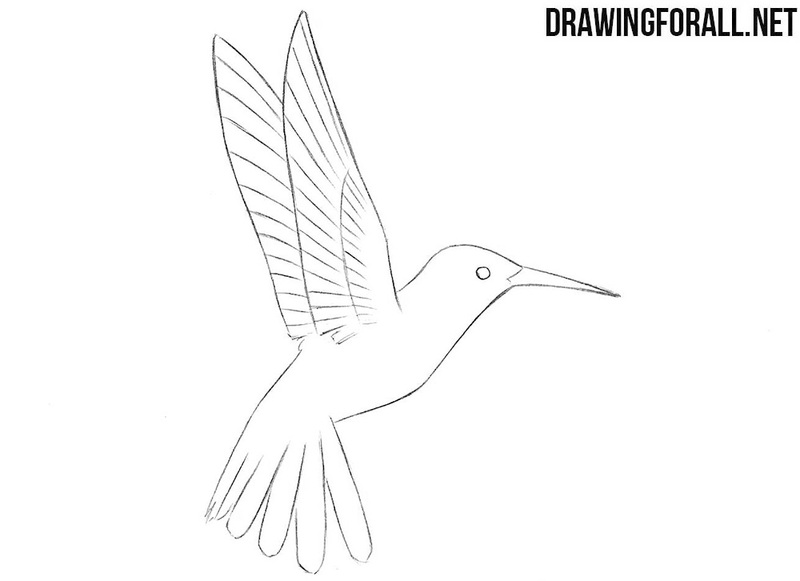 Draw a small eye on the head of hummingbird and make the beak thicker. 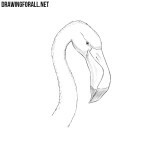 Next draw the neck and feathers on the tail. Thicken the wings. 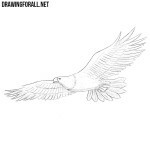 Now neatly erase the lines from the first step and draw out the outlines of the bird by clear lines. 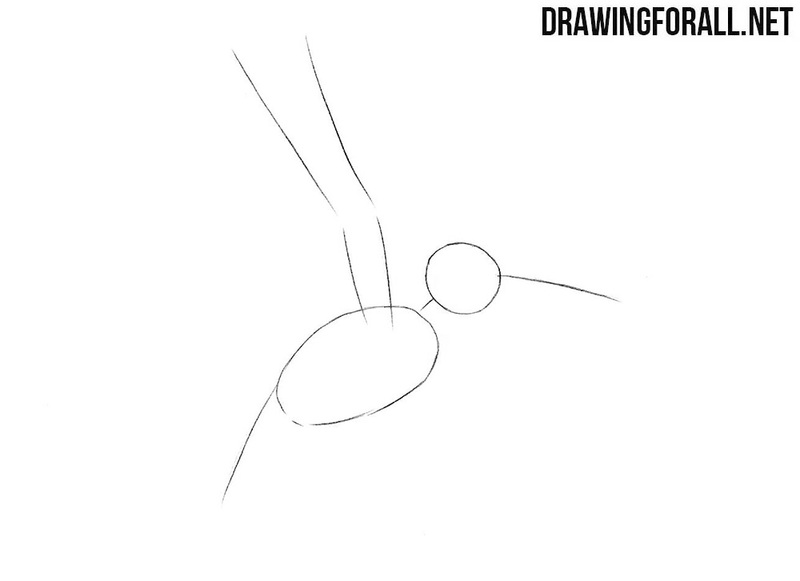 Draw the feathers of the hummingbird. Paint out the eye and add shadows with light and beautiful strokes. By the way, we recommend using pencils of type “B” or “2B”, because with them the lines are more juicy and clear. 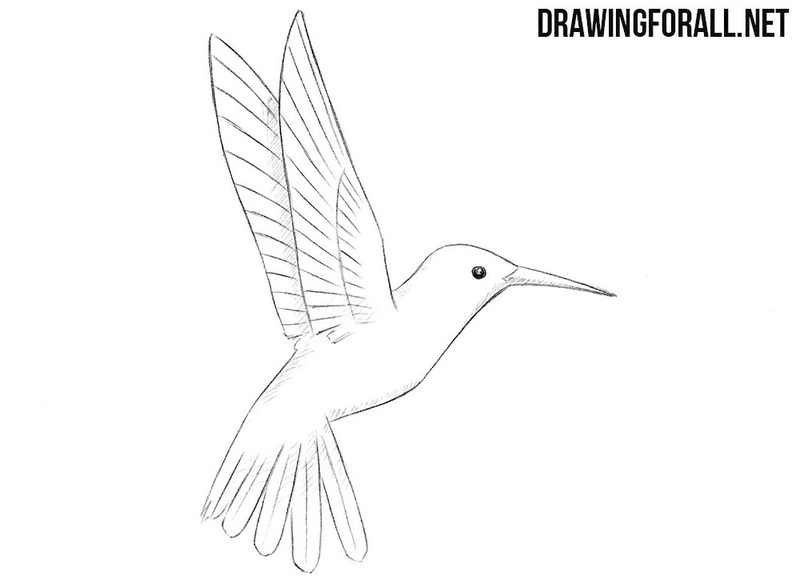 To learn how to draw a hummingbird better, try to draw it several times, both with the help of our lesson and without it. 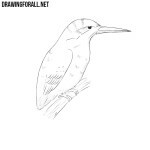 Open the photos of a hummingbird and draw from them using the drawing method shown in our lesson. 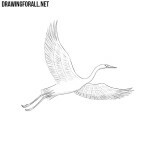 Also try to draw a hummingbird from memory, having in front of you only a piece of paper and pencil. As you understand, we are talking about practice, because practice is the most important teacher for any artist.